Phở is one of our absolute favorite foods in the world! If your mouth is not watering by the end of this post, then we don't know what else we can do... be sure to watch the video at the bottom! 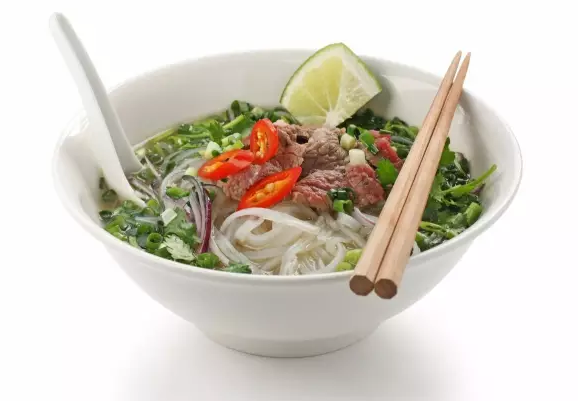 It's is a Vietnamese noodle soup consisting of broth, linguine-shaped rice noodles called bánh phở, a few herbs, and meat, primarily served with either beef or chicken. Pho is a very popular street food in Vietnam and the specialty of a number of restaurant chains around the world. Southern Vietnamese eat it for breakfast and occasionally lunch, whereas those from northern Vietnam consume it at any time of day. 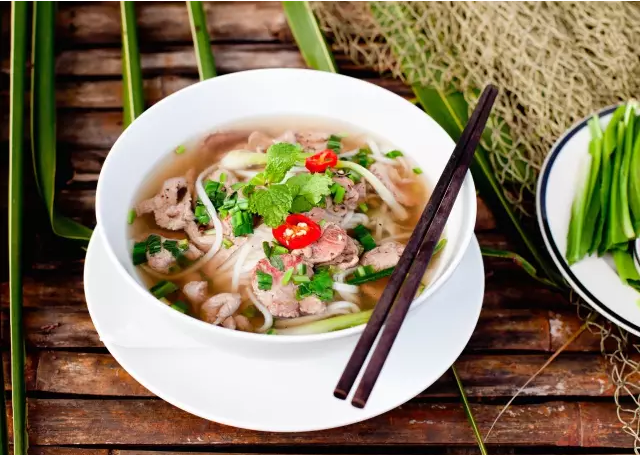 Pho originated in the early 20th century in northern Vietnam, and was popularized throughout the rest of the world by refugees after the Vietnam War. Because pho's origins are poorly documented, there is significant disagreement over the cultural influences that led to its development in Vietnam, as well as the etymology of the word itself. The Hanoi and Saigon styles of pho differ by noodle width, sweetness of broth, and choice of herbs. The amount of love and preparation that goes into a bowl of pho is unmatched by any other noodle soup around the globe. Pho is like the opposite of fast food. It's served in a bowl with a specific cut of white rice noodles in clear beef broth, with slim cuts of beef (steak, fatty flank, lean flank, brisket). Variations can include tendon, tripe, or meatballs in southern Vietnam. 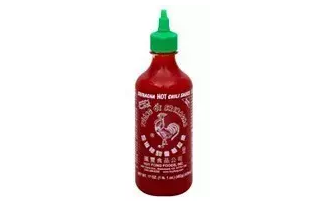 Condiments usually consist of fresh bean sprouts, chilis, thai basil, cilantro, lime, hoisin sauce, and hot chili sauce. Some people love pho so much that they will travel to Vietnam only to eat different types of pho each day! And some restaurants will offer a pho eating challenge, with prizes for finishing as much as 10 pounds (4.5 kg) of pho in one sitting. Sign us up! There's good news for the foodies in Shanghai looking for their own taste of Vietnam; the city is blessed with many authentic options to choose from. But firstly we must note before you go exploring, that there is absolutely no “good” or “bad” Pho. 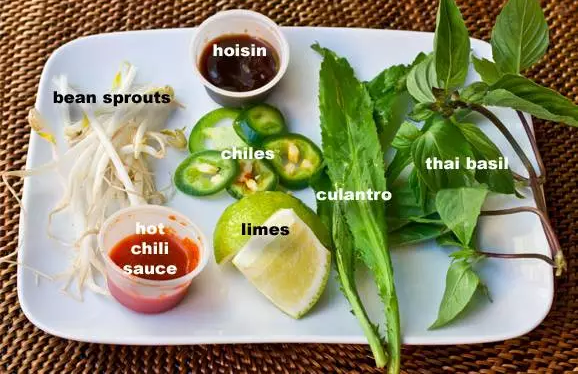 Every chef and even household has their own unique recipe, but there are a few essential components to look for in making a classic Vietnamese Pho. There's gotta be a strong beef broth that's clean, not oily, and is well balanced with the aromatic spices. The noodles in fact, should be fresh and even silky. The beef used and the condiments later added in must also be fresh and top notch quality. If you're in Shanghai and looking for a Pho fix, head over to Jing An District to The Pho Store on Xi Kang Lu; it's easy to taste that they put a lot of effort into their Pho. They have a nice cozy environment and be sure to also look through the menu and try out some of their other authentic dishes created by their Vietnamese In-house chef. Consider yourself a foodie? Join our Wechat group to share new delicious dishes you find and old favorite recipes with a truly multicultural spam-free group!